Technology has revolutionized the financial landscape. Now entrepreneurs can use an online small business loan broker to secure the capital they need. Not only can they find the information they need to get a loan quickly, they can get that loan underwritten quickly as well because many aspects of the underwriting process has been automated in recent years. Whether you want to refinance an existing business loan or to determine which funding option is best for your business, you'll find that it's immensely helpful to use online resources to locate a business loan broker. Borrowers and lenders have a new medium for correspondence, and they can communicate and share loan documentation in real time. Loans can now be funded in days, if not hours. In today’s fast-paced world, being able to respond to your environment is essential to the success of your business. For a business owner seeking a fast source of business financing, having a lender who can respond quickly is key. Faster responsiveness means faster underwriting, faster approval and faster funding. Businesses can meet their challenges quickly if their lenders are also fast with their funding. More importantly, time-sensitive opportunities can also be turned to their advantage if the resources are readily available. From submitting automated applications to using algorithms that analyze the borrower's creditworthiness and documentation as well as the convenience of uploading all required financial information, doing it all online enables you to get the funding you need much faster. 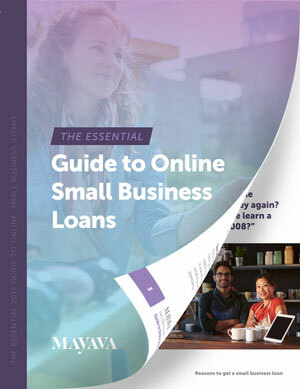 If you are going online for a small business loan, it could be underwritten and approved quickly because technology has let borrowers and lenders easily share financial documentation, communicate rapidly about any issues that may arise, and facilitate funding for the loan and repayment of the debt. But handling an influx of prospective borrowers requires lenders to have the right infrastructure to deal with that kind of volume. Lenders who have reliable technology can meet the needs of their borrowers more responsively than those who don't. When it comes to finding an online small business loan broker, a rapid underwriting and funding process should be key considerations. Today’s digital landscape means that access to all sorts of information about a borrower, a lender and even the type of collateral is almost instantaneous. Prospective borrowers can use technology to their advantage, particularly in conducting their own due diligence on a potential lender. Besides checking out the business records and the website of a lender, a borrower can also research the “Tombstones,” or past deals, that the lender completed. The rise of loan exchanges, such as Lending Club and Prosper, and direct funders, like OnDeck and CAN Capital, should make anyone question why brokers are even necessary. Major funders such as these have their own application processes and underwriting criteria meant to eliminate brokerages entirely. Yet for every new funding platform, it seems that 100 new brokers simultaneously enter this space. Here are some things you should know—and some questions you should ask—about brokers and lenders before deciding to part with your personal and business financial information. Small Business Brokers Don’t Require a License. That’s right. There is no test or certification to become a small business broker. Right away, this caveat should give you pause before you send along your personal information. It’s important to understand, however, that most of the funding companies you will approach aren’t licensed, either. If a lender is a public company, such as OnDeck Capital, it will be subject to scrutiny from the US Securities and Exchange Commission, but it still will not require a license to be a lender. Private funding companies will likewise not be required to obtain a license, and will operate with little to no oversight. This lack of compliance is an important, but likely temporary advantage for the alternative lenders in the United States. How long this situation will remain without direct governmental supervision is up for debate, but it will likely be years before an agency is assigned supervisory and regulatory authority over marketplace lending. It’s tempting to conclude that this lack of oversight is dangerous for the borrower. But it’s less so if the borrower is fully informed about his or her options. A true business broker can help a borrower navigate the sometimes murky waters of marketplace lending to avoid pitfalls and scams. Moreover, a good broker knows the players in the industry and their specialties. This knowledge allows the broker to connect borrowers with the right financing partner instead of sending applications all over the country. How is your broker compensated? Most brokers work on a percentage of a successfully funded loan. A standard commission is approximately 5 percent of the loan, which is what Mayava Capital receives on its deals. Finding customers is one of the more expensive aspects of operating a funding platform, so most lenders are happy to compensate the broker on a successful loan. But it’s important to ask your broker how they get paid, because some operate very differently. For example, some brokers will charge an origination fee, and deduct this fee directly from the borrower when the loan closes. Other brokers will try to negotiate a higher percentage and place it on top of the loan amount. In some cases, this charge can be anywhere between 8 percent and 12 percent on top of the loan—we’ve seen it as high as 20 percent! When a broker stacks a commission on top of the loan, the loan amount plus the commission is what the borrower pays back. Be sure to read your loan documents carefully to ensure that the lender is paying your broker out of their spread and not stacking it on top for you. How can I tell if my broker is legitimate? Whenever possible, try to speak directly with the broker. It doesn’t hurt to do a little research as well. Does your broker have a website? An actual place of business? Social media? You wouldn’t volunteer your personal information to an offshore telemarketer without an office, website or phone number. So why would you trust someone who is soliciting your company to apply for a loan who doesn’t have any of these characteristics? The Mayava platform is mostly automated, but we make sure to connect with our applicants. It’s important to understand their needs, just as it’s important for them to feel comfortable with us. We work in a real office with real people, and puppies (on Fridays). We work in-house with our technology platform partner, Morey Publishing, and have a robust support staff. Why can’t I just be my own broker? You can. Deciding whether or not to work with a business loan broker is a matter of time and energy. It’s a lot like working with a real estate broker. A great real estate broker will understand the marketplace, know what’s available, what’s overpriced, and what’s a steal. They also do the legwork required to find the best available option based on your needs. Having said that, some people choose to sell their own homes and do just fine. It’s a matter of time and energy. A good business loan broker also stays on top of regulatory trends, loan options and new entrants into the lending field. Applying for a loan seems pretty easy. Marketplace lenders have a great technological advantage over traditional banks, which makes it faster and easier to apply for loans on several digital platforms. Because marketplace lending is a relatively new phenomenon in the United States, the leaders in this field were unburdened by legacy systems that hamstrung traditional banks. Additionally, there are virtually no regulatory hurdles to jump through, which allowed these companies to bring new technology to market quickly. But just because an application is simple doesn’t mean you should be filling out every one that you see. Every time a prospective borrower fills out a loan application with a different lender, he or she will have a hard credit check. You might think you’re doing the proper due diligence by applying for several loans and comparing terms, but in reality you might be damaging your credit in the long run. There are certain important items that we ask for to help us guide your application into the right hands. For example, if you have outstanding loans, we might direct your application to a lender that specializes in loan consolidations and refinance. If a borrower is in need of a small amount of quick cash and has proven credit card receipts, we might put you in touch with a merchant cash advance company. There are myriad factors that affect the direction of an application. It’s our job to take them into account and find the best solution. Sometimes the best answer is to not apply for an alternative market loan but to apply for an SBA loan or go to a traditional bank that understands your industry. Remember, just because the marketplace lending industry is growing rapidly doesn’t mean that traditional lending is gone! The Mayava team evaluates your application to make sure you have everything required to successfully obtain financing. If we see any potentially disqualifying pieces of information, we will let you know—instead of submitting your application to a lender blindly. Like everything else in business, you have to protect your own best interests. Hopefully, the information above helps clarify the role of the business loan broker and offers some insight into the marketplace lending industry.